On April 15th Arvada Christian welcomes the Gideons International to present a brief update on their work of distributing Bibles across the world in our 9:30am service. Join us! 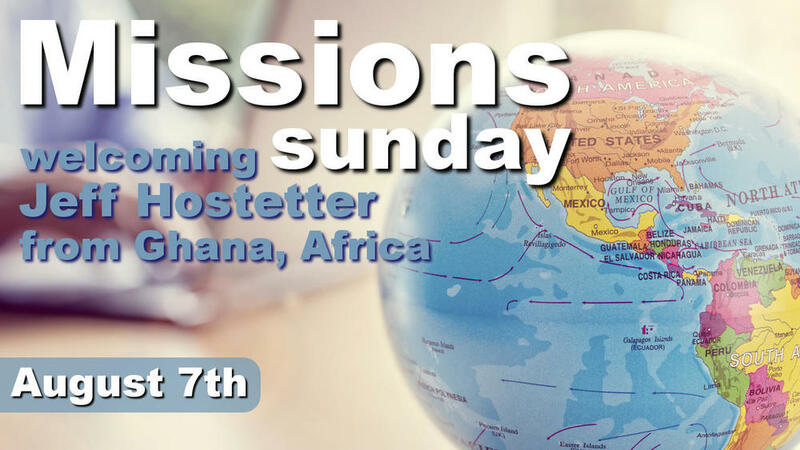 On Sunday August 7th we welcome missionary from Ghana, Africa, Jeff Hostetter. Jeff and his wife Shirley will be here to share their mission work in Ghana, Africa. Jeff will be bringing the message and teaching in the Adult Sunday School class. Let's open our eyes to God's bigger picture. Sunday, February 21st, we welcome the Gideons to present their incredible ministry of distributing the Word of God, the Bible, across the world. Be inspired to make a difference in the world through sharing the Bible with those who do not know the good news it holds.